There are at least a dozen methods of binding, and there are unique pros and cons to each depending on the purpose of the document. Some bindings are more durable than others; some allow your book to lie flat when opened, and some have a very attractive appearance. If you’re currently trying to figure out which method to use, we’ve rounded off some of the most common techniques, complete with the pros and cons of each, so that you are able make an informed choice. Also known as hardcover binding, this is by far the best binding technique you could pick. In fact, in the past, all major books were hard bound. Basically, the inside pages are sewn together in sections. The sections are then glued to the end-papers which are finally glued to the cover’s spine. When opened, case bound books lay flat on the table. Case bound books are an impressive presentation. They give your book a weighty feel and inspire an air of quality. Books bound in this manner are highly durable and attract high retail prices. Cost is the biggest drawback to the technique. The net cost of case binding can be several times the cost of perfect binding. Weight can be an issue. Case bound books are generally heavier compared to their counterparts, which can result in higher shipping costs. Perfect binding (also known as soft cover binding) is similar to case binding, except for the lower quality cover. A perfect binding cover is made from heavy weight cardstock paper that is often coated or laminated to protect the book. With this type of binding, the cover and pages are glued together with a super strong glue. Often the cover is longer than the pages, so the cover is trimmed to give it that perfect look. It’s an economical alternative to hardcover binding, both in terms of production and shipping. Presentation is still of high quality, allowing the books to fetch good prices at sale. Books don’t lay flat on table when opened due to gluing of cover to the spine of the book block. The inferior paper-based cover also means that perfect bound books are less durable than hardcover books. 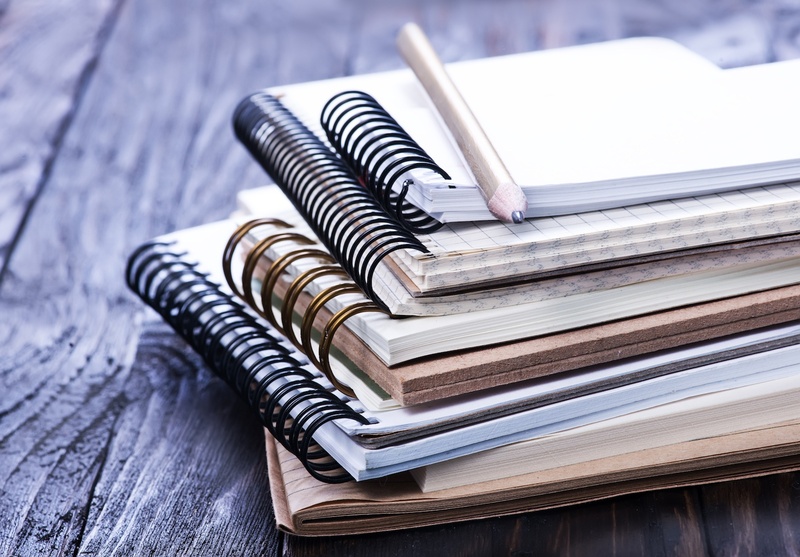 For books that might have short-term use (or those with a small number of pages), saddle stitch binding is an excellent alternative. 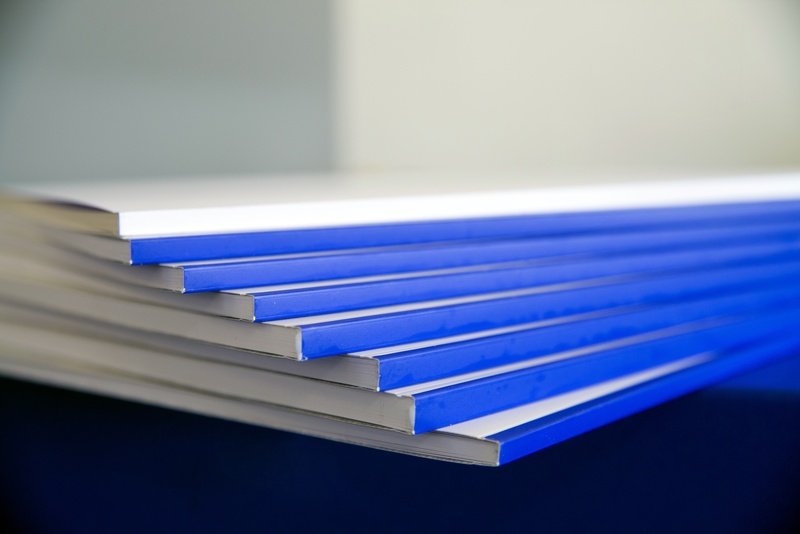 Once pages are printed and organized, they are stacked and loaded onto a conveyor from where they are stitched together using metal staples. Stitching can be done with or without a book cover. This technique is highly economical, especially for small, short-term booklets. Saddle stitched books lay flat (for the most part) when opened. This binding method usually has a fairly quick turnaround, and can be done at most commercial printers in house. When used for books with many pages, the nesting of pages within one another can cause creeping. Books are less durable; the cover and pages can be easily damaged. 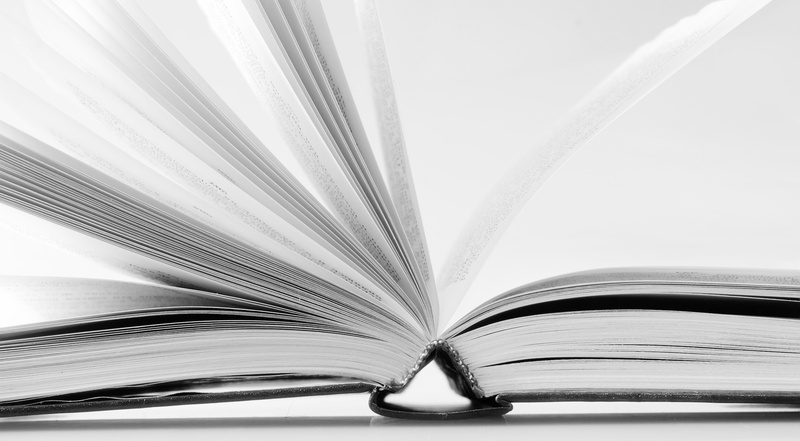 These are the three techniques commonly used when binding short-run books. Comb binds actually looks like a comb threading into a series of holes punched into the edge of the book. Spiral binding involves punching of similar holes but instead of the comb, a metal/plastic coil is threaded through the holes. Thermal binding is a bit different; the pages of the book are glued to the spine by heating the cover’s spine. For short-run books, these one-off binding techniques are very effective. These techniques are also extremely low-cost due to low or no-minimum order quantity. All three options are generally not acceptable for standard distribution and retail channels. Readers will know that your document is self-published. 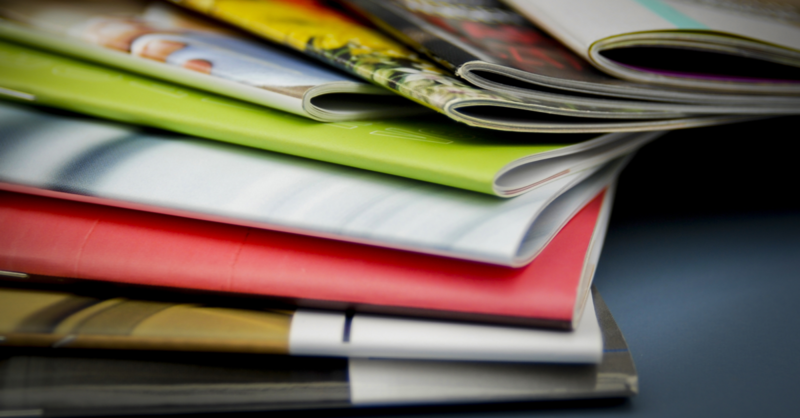 There are tons of ways to make your publications stand out. Distribution needs should drive your binding decisions.